Bundled against the cold in cozy pink swaddling, a cooing baby girl is ready for a sleigh ride - off to celebrate her very first Christmas. 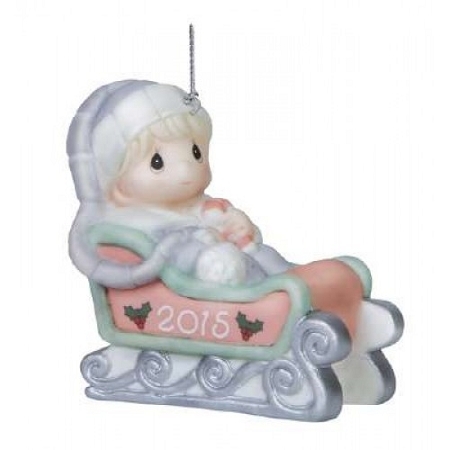 Dated with the year "2015," this hanging ornament is the perfect way to celebrate all the joys that come with a little girl's first holiday season. Bisque porcelain. 3" H.